Learning to ride a bike has all sorts of life metaphors going with it. It’s scary, it’s exciting and just when you think you’ve got the hang of it you hit a bump on the road and someone takes away your stabilizers. Despite that, it’s a wonderfully rewarding pastime and, for many, a way of life. So how do you introduce this particular learning curve to children to give them that glorious sense of wonder that comes from two pedal–powered wheels? Safety is a primary concern for cyclists of any age, but for all parents it’s an anxiety inducing moment watching your little ones pedal off with a high probability of a few fair wobbles. Accessing safe, traffic-free environments is a must so that you can tick the biggest dangers off the list. 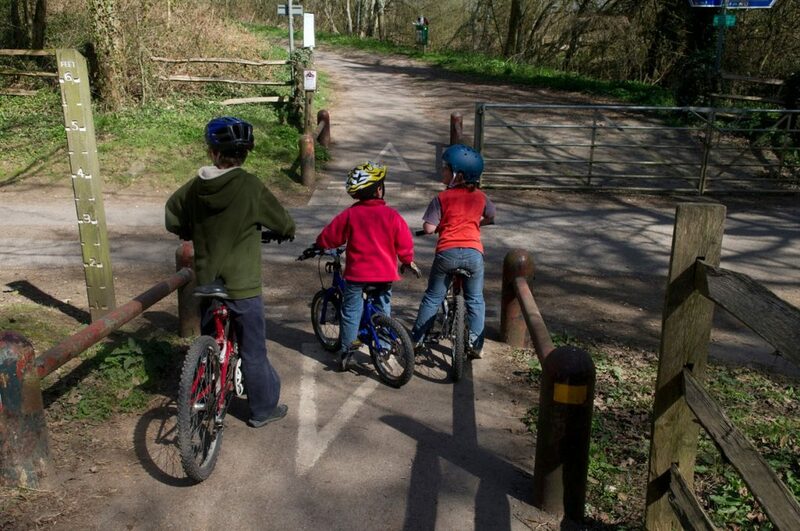 In the UK for example, British Cycling’s Go-Ride Clubmark accreditation for cycling coaches ensures that children have an instructor who is fully qualified to teach, has attended child protection courses, and holds a first-aid certificate. However, if you’re teaching your child yourself then make sure you head somewhere safe, car-free, and leveled to give them the best start when they’re learning. When it comes to equipment, make sure the bike is the right size for the child and that they always wear a helmet. Bicycles should be roadworthy, so check the tyres and the breaks, and make sure their helmet fits correctly. Ultimately, there aren’t any hard and fast rules about wearing helmets, but these days it’s the accepted norm to wear one and put safety first, so it’s a good idea to cultivate good habits from young age. Ideally, as a parent you should wear one as well to set a good example. Keeping up the safety theme, while it often falls by the wayside, and dusting up your knowledge of the Highway Code will help your children start with good habits and keep them up, which ultimately helps to keep them safe when they advance to cycling on the roads. Encourage them to ride where they can always be seen, to make eye contact with other road users, to not jump red lights, and to not cycle on the pavement unless it’s a designated area for cyclists. Big portion of the anxiety and anger that brews between road users and cyclists is the upshot of not being mindful of each other, and while there are always those who are inconsiderate on the roads, we don’t need to be among them. Encourage children to think about the people around them when they’re cycling – don’t go too fast if it’s in an area with possibility of endangering other people, use the bell to warn people that you’re approaching, be prepared to give way, slow down or stop if necessary, and keep to your side of the road. 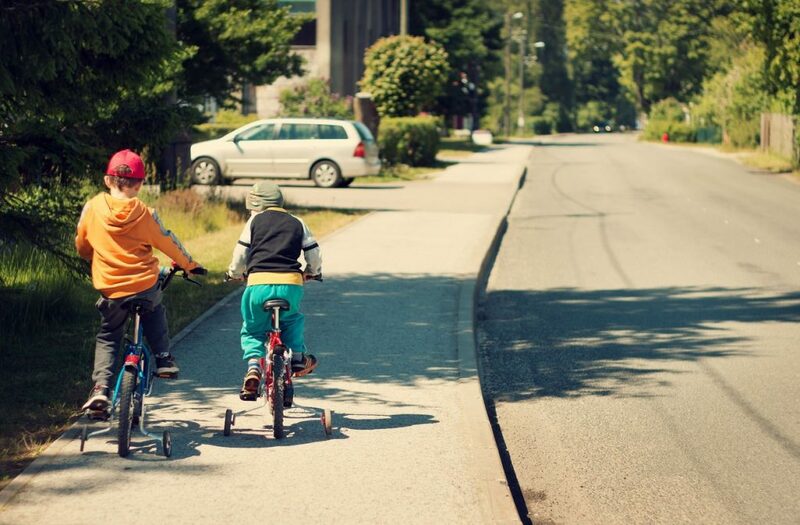 The best way to encourage and support children as they learn to cycle is to do it with them. It’s a wonderful bonding experience, and as they improve you will be able to head off on the most wonderful adventures. It’s an excellent way to obtain or maintain fitness, and it normalizes cycling so that it will become an accessible way of commuting for your children when they get older. Cycling on holiday is also a wonderful way to explore and get to know new places, or simply turn a Saturday morning trip to the shops into a mini adventure and an opportunity for quality time together. Who knows, by creating happy family memories together, you may even encourage them to be the next Mark Cavendish! Some children will show a moderate interest in cycling, others won’t take to it, and some will be complete cycling enthusiasts. With a favored sport comes a cavalcade of potential costs as kids discover all the gadgets and must-haves that help them getting into the intricacies of cycling. So, this is where you need to be smart with spending. Firstly, children are obviously going to grow, so they don’t need the top-of-the-range model of absolutely everything in the first place. That said, neither is it going to be much fun to always have the cheapest and most cumbersome bike available. 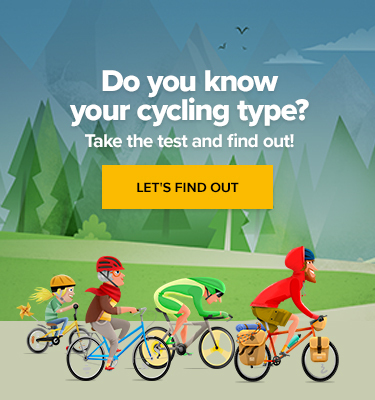 Quality bikes are likely to stay in tune longer than cheap ones, so doing little research before you buy will pay dividends. Also, consider a second hand option until kids are fully grown. EBay is a wonder for this, as well as so many other things, as are other similar sites, or even talking to your local cycling club and seeing if there’s an option to buy through them. However much we want our children to stay safe, get the most out of a sport, or maybe even live out personal ambitions of winning gold at the Olympics, the best thing we can do for them when it comes to cycling is to make it fun for them. Join them when they’re out learning, try not to panic when they fall off, go to beautiful and interesting places where they can get the most out of it, and make it a happy experience that they would want to repeat. That way, not only do they get an all-round positive experience when it comes to riding a bike, but you do as well! 10 Reasons to Start Cycling with Your Kids!